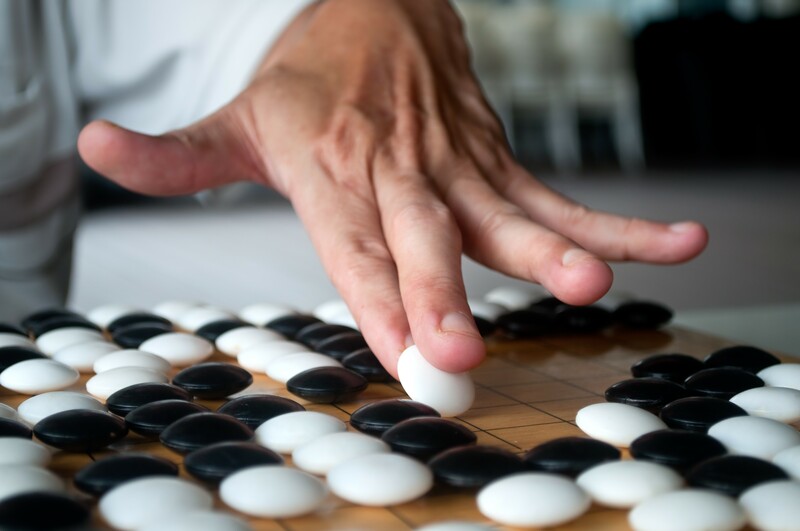 If you have Igo board and Igo stone, you can enjoy playing Igo at any time and anywhere. It is a game where a player, who have the white stones, compete with another player, who have the black stones at a fixed dimension board. It is often thought that rules of Igo are difficult but actually, it is very easy once you understand it. Today we will introduce the roots and the rules of “Igo”, as well as the tips on how to enjoy it! There are various stories regarding the origins of Igo, but basically, it is said that it was born in China before 2000 BC. It is also said that Igo was invented by China emperor of “Gyotei” and “Shuntei” with the purpose of using “Igo” to train their children's discipline. After that, it was transmitted to the continental Korean peninsula which is connected to the land of China, and it is said that it was transmitted to Japan at around year 607. Igo was played by noble people during Asuka, Nara and Heian era. When it came to Kamakura and Muromachi era, Igo was spread to samurai and businessman, and Igo has its golden era when it came to the end of the Edo period. It is said that Igo world has been developed with the support from the Shogunate and Daimyo. After that, in 1924 (Taisho 13th year), "Nihon Ki’in" was established in Chiyoda, Tokyo at the purpose of training professional players, and determining the level of professional players, holding Igo competitions and so on. In Japan, when talking about "Igo", there is an image that men from 50 and 60 years of age who are playing the game rather than young people. However, since there is a comic "Hikaru no Go" with the theme of Igo, which has made Igo slowly becomes popular among the youngsters. 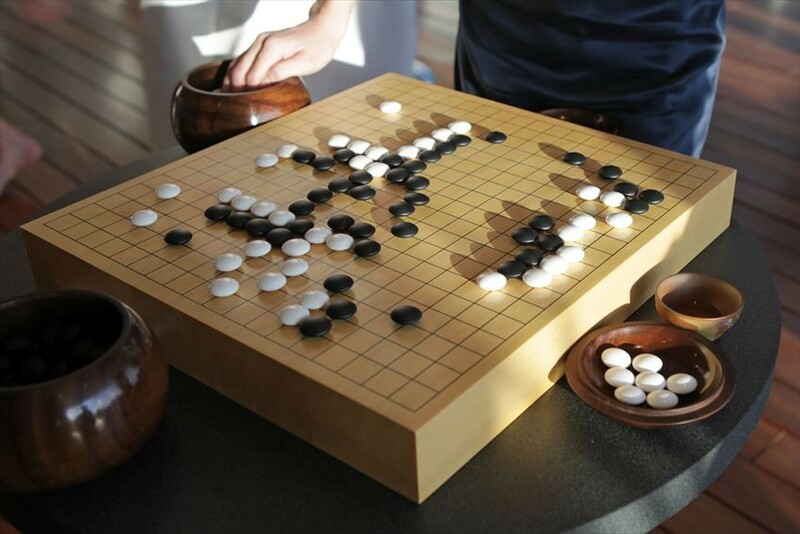 Igo is a board game which competed by a player of white Igo stones and another player of black Igo stones. 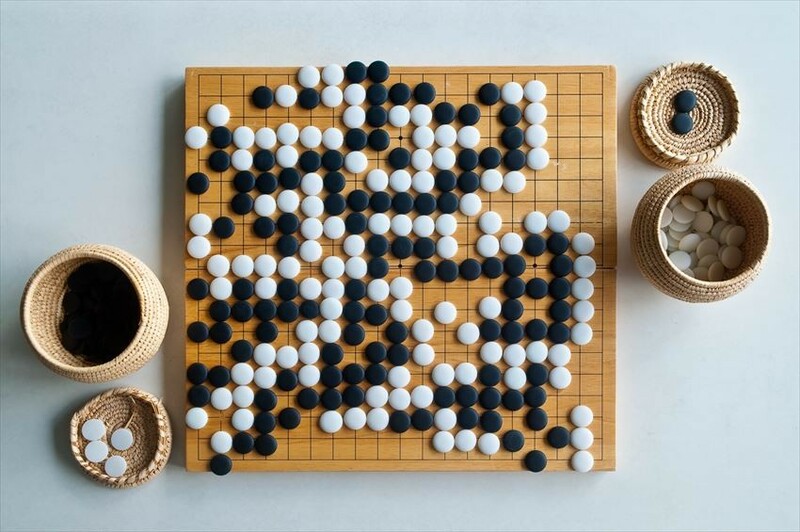 Two facing each other players will try to spread their own territory to each other, one will using white Igo stones while another one using black Igo stones, "The one with the widest spread territory will be the winner.”. The official Igo board is 19 lines long and 19 lines width horizontally drawn, and the intersecting points (me) are 19 × 19 = 361. 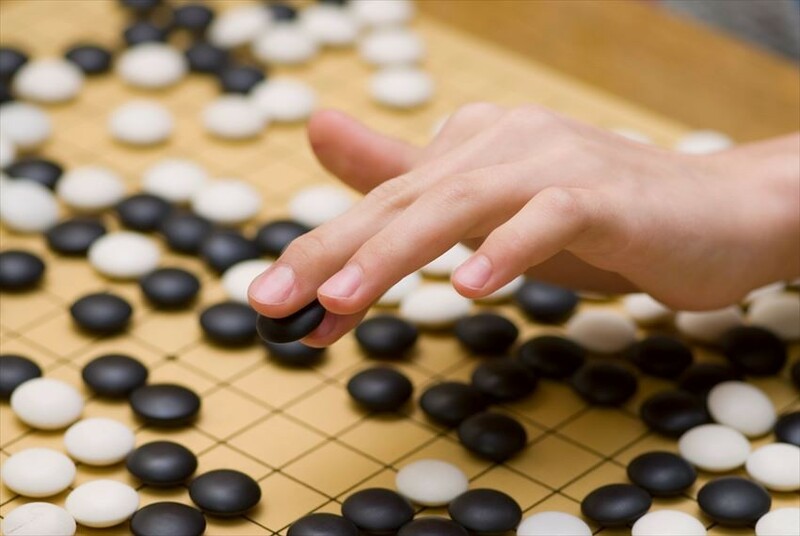 There is a smaller Igo board of 13 x 13 vertical and horizontal sides which is more suitable for beginners. One set of Igo stones is "181 black stones and 180 white stones, 361 in total". For high-class Igo stones, white stone is made of shellfish while the black stone is made of stone. On the other hand, for an affordable Igo stone, the stone is normally made of glass or plastic. Also, an Igo container which called as goke is a necessary tool to store the Igo stone, and the top lid is used to store the stone taken from the opponent. 1) Both players place each stone alternately to the place where the longitudinal line and lateral line crossing. As long as no stone is placed at the spot, you can place the stone at anywhere you like. However, please take note that the stone is not placed in the column like Othello. Also, you cannot change the color of stone by turning over like Othello. For Igo, the action of placing a stone is called as “Utsu”. Since the player who succeed to surround the opponent will be the winner, it is important to surround your opponent’s stone efficiently. When you succeed to surround your opponent's stone, you can take it. By surrounding the opponent's stone you can take the stone as your own. The stone taken is called as "Agehama" and it becomes your own stone. Put it in the lid of an Igo container, and finally use it to reduce your opponent’s territory. Once the stone is placed, it cannot be moved or removed unless it is surrounded by your opponent’s stone and been taken away. 4) The player who surrounded with more territory will be the winner! Igo is a battle to get more territory. The player that surrounded as much as possible on the Igo board is the victory. Above is only a part about Igo. For those who wish to know more about Igo, please check the official website of Nihon Ki’in (English), etc.